Flickr website got new designed after long time with Free terabyte of space for everyone. New designed focus only on Photos, Yahoo removed all text, white space and links from their site. Now they feature big photos only throughout their design. In December, Yahoo revamped its iPhone app with new look and tools. After 6 months, Flickr released redesigned Flickr for Android to match with Flickr Web design. New Flickr for Android features high-resolution images on home activity (did you notice little animation). Just tap on any thumbnail and you can able to view full image, from there you can Like, comment, share or view the photo details. Swiping left-right take you to next previous photos. From the app, user can view Contacts timeline, Groups, Explore new photos and Activity. User can also search photos or find friends from the app. 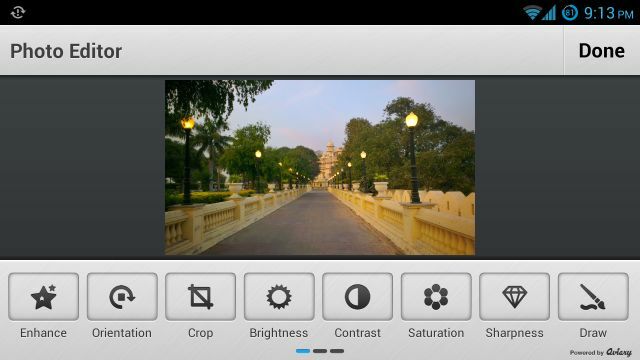 Flickr app features new Photo editor powered by Aviary. 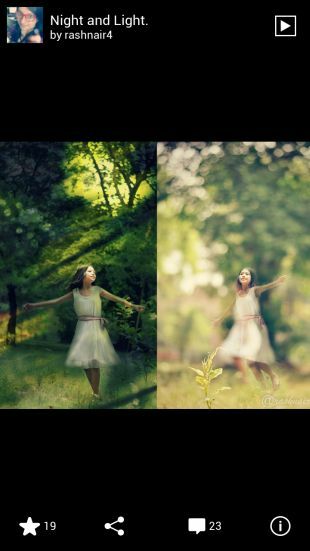 Photo editor allows user to enhance, draw, crop, add text or retouch your photo. Flickr also features sixteen different filters (yes you’ll get Instagram flavor here). Once you done with photos, you can upload and share photos with your friends. App give you complete control of your privacy. Users can upload full resolution photos or standard size photos. You can change this from settings. Flickr will automatically geotagged the photo. 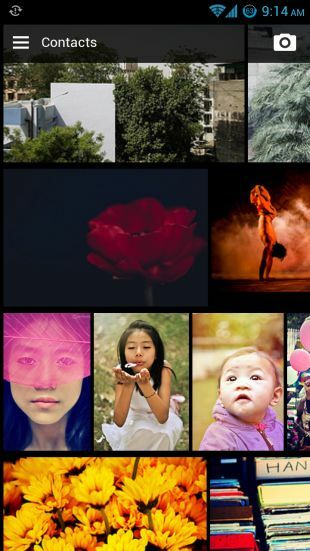 Flickr for Android available freely on Google Play Store and it requires Android 2.3.3 and up.